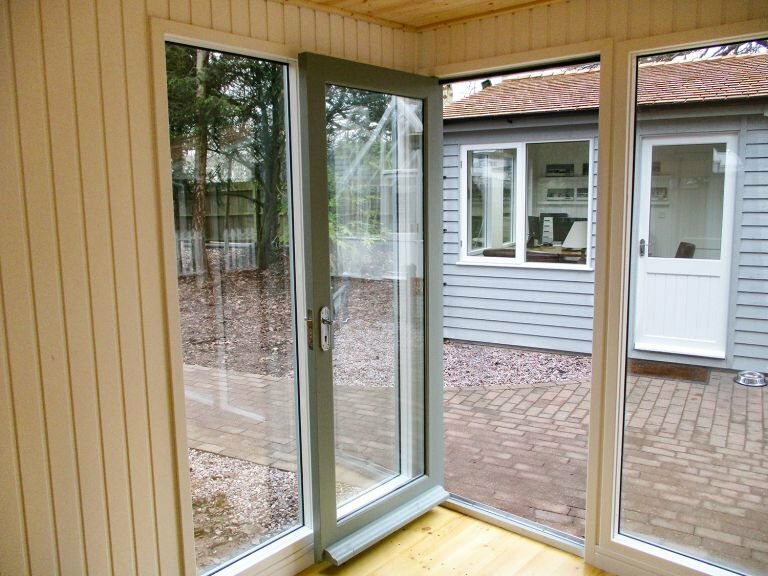 This Salthouse Studio is fully insulated with painted matchboard lining, double glazed windows, and draught excluders in the doors and windows, making it a perfect year-round use building if you like the modern styling of the pent roof and full-length glass windows and doors. 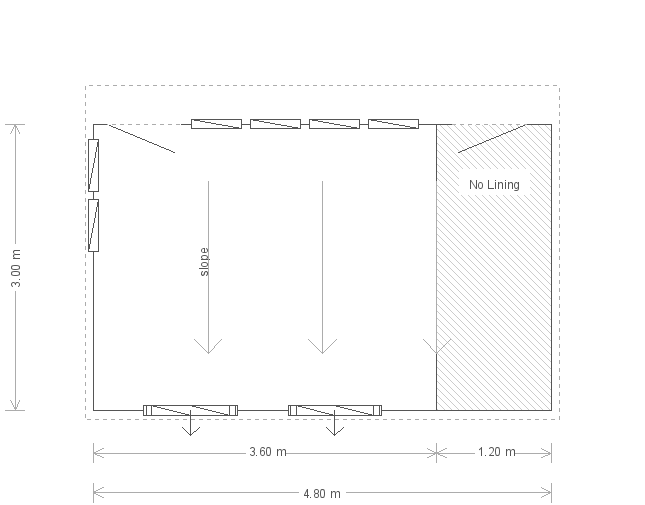 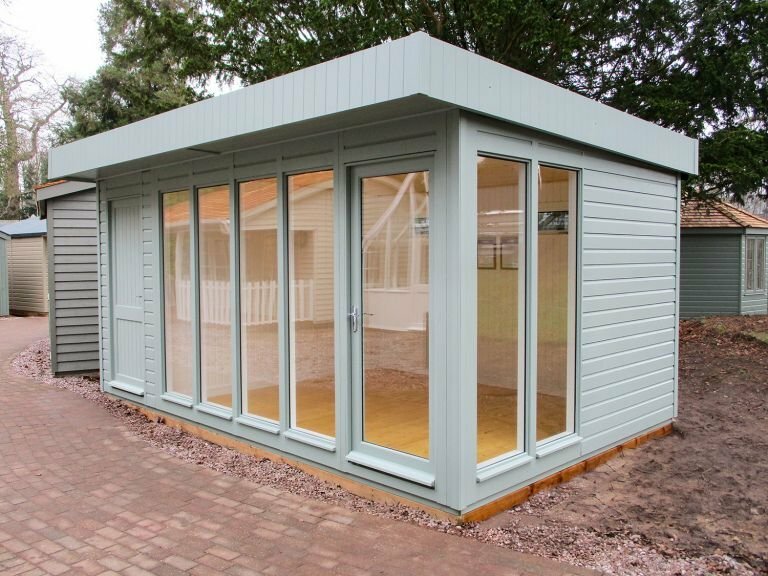 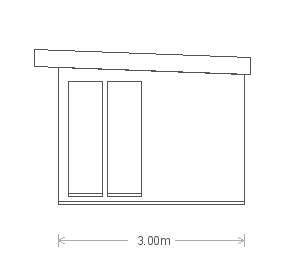 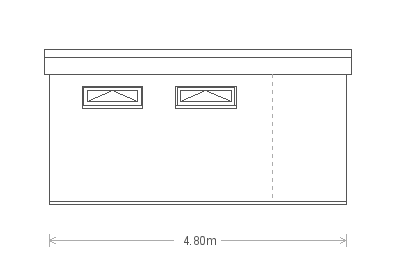 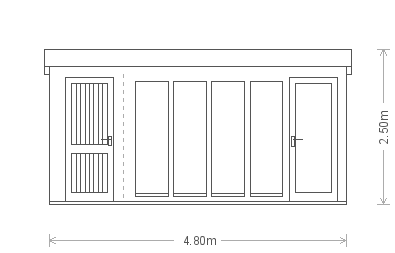 A storage partition gives this Salthouse a dual purpose, combining a hobby room/garden office and a storage shed into one building. 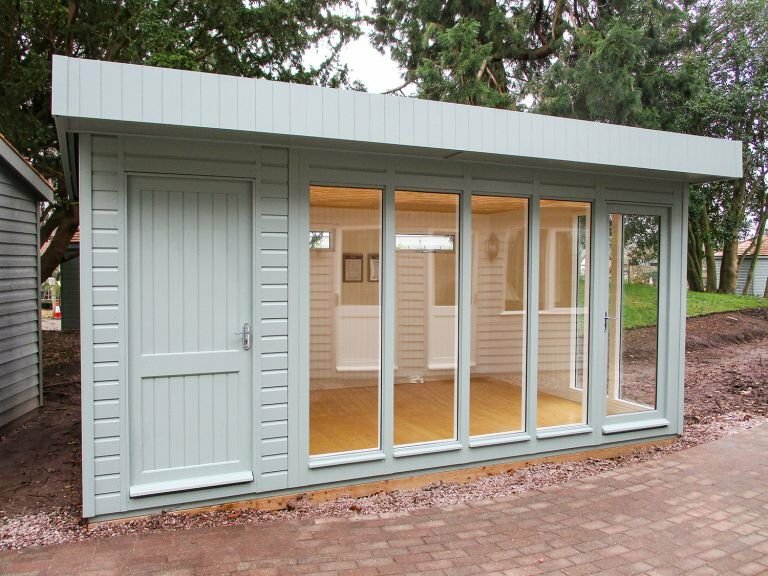 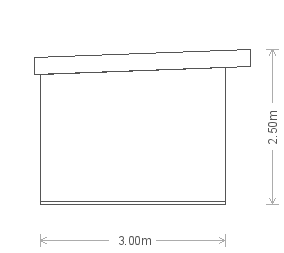 One of our stylish Salthouse Studios was selected from our range of Garden Studios and hand built at our Norfolk factory for a customer needing a functional work-from-home-office and an outdoor storage area.